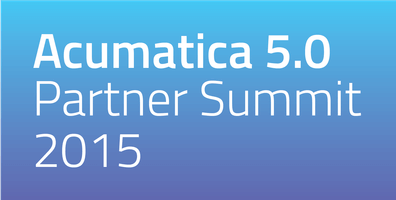 What’s new in Acumatica 5.0 for UK SMEs? 29 Sep What’s new in Acumatica 5.0 for UK SMEs? We got our hands on Acumatica 5.0 BETA this month and wasted no time testing all the new features. B2B Ordering – Acumatica Self-Service Portal supplements your sales order processing options. With Self-Service Portal, your customers can place orders themselves, thus speeding up the processing and reducing the workload.Online ordering is a part of the Acumatica Self-Service Portal and, as such, is seamlessly integrated with your Acumatica ERP instance.By employing Self-Service Portal, you leverage your existing cloud infrastructure to serve your customers.You decide which products should be visible on Self-Service Portal and select the warehouses the goods can be shipped from. You can provide extended descriptions and images for your products to ease the decisions for customers. With Self-Service Portal available 24 hours a day, 7 days a week, your customers can check product availability, make orders, and check orders’ statuses whenever they want to, thus reliving your sales personal of simple operations, such as taking orders and checking order statuses for customers. Microsoft 365 and Exchange Integration – Acumatica ERP 5.0 makes it possible to synchronise contacts, emails, tasks, and events between your user’s Exchange Server and Acumatica ERP accounts. You can connect to an Exchange Server and synchronise records between the user’s Exchange Server and Acumatica ERP accounts. Single Sign-On – With single sign-on (SSO), users can enter their credentials once in order to access multiple applications. These users are not interrupted by authentication prompts during a particular session. Single sign-on reduces the number of user IDs and passwords each user has to remember, thus reducing the risk of identity theft. Single sign-on also makes it easier for system administrators to maintain user identities.Acumatica ERP supports integration with Google, Microsoft Account, and Microsoft Azure Active Directory (Azure AD). on Android. The initial release of this application offers access to expense claims, tasks, and approvals. Because the application is built by using platform-standard tools and a new Mobile Application Framework, it can be extended by independent software vendors and partners. These are just some of the improvements! Please Contact Us for more information. Acumatica 5.0 will be available to companies in the UK by the end of Q4 2014.